Registration begins April 20 for this fall’s online literature class for teens Tolstoy’s Anna Karenina, Chekhov’s Annas, and Anna Karenina in Film . We will focus primarily on Leo Tolstoy’s Anna Karenina. Our class will examine historical, social, philosophical, and literary concerns in Russia and Western Europe at the time while exploring Tolstoy’s profound concerns with the values of late 19th century Russian society. 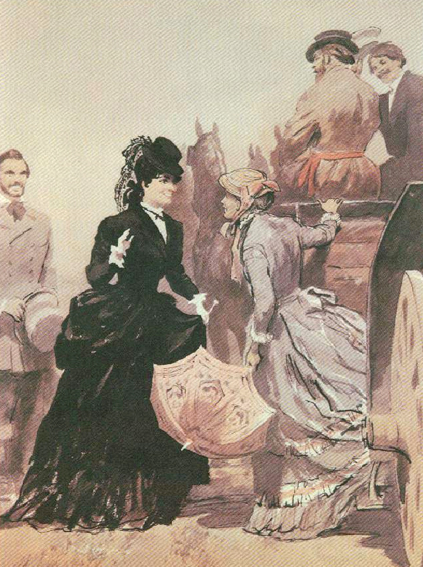 Two short stories about Annas – “The Lady with a Little Dog” and “Anna on the Neck” – are considered Chekhov’s riposte to Anna Karenina. Comparing the stories and the novel, we will consider the universality and symbolism of Tolstoy’s Anna, as well as the differences between Chekhov’s realism and Tolstoy’s. Anna Karenina has been adapted for the screen more than 20 times. We will watch different film and video versions of the novel, and talk about the art of adapting literature for the camera and how the adaptations interpret Tolstoy’s story. Two wonderful films of Chekhov’s stories will be included in our analysis as well. To read the full course description, schedule, and registration information, click here.